Beauty comes in all shapes, sizes, and colors. And Beautyblender is here to prove that. Your favorite makeup blender is now getting the perfect foundation to use it with. Beautyblender’s founder Rea Ann Silva announced that the brand is launching their first-ever makeup product. Meet the Bounce Liquid Whip Long Wear Foundation, available in an amazing number of 32 shades. The label’s foray into this kind of cosmetics announces the beginning of a number of upcoming makeup releases. “Beautyblender took on a life of its own and has been such an amazing journey, but the original launch back in 2003 was all supposed to be so I could do a line of makeup. Back in the day, you could always go to all of the amazing heritage brands and they would have a sprinkling of diversity in their color lineup, but never any variations. It was really challenging to find colors for my clients. I had to get really creative and mix colors. Skin tones are very different to nail down. The human species is so amazing and diverse. My dream is to offer women a perfect call in color because it is so challenging for my mother, sisters, aunts, and friends to find their shades.” she said. It’s been more than 10 years since Rea and Beautyblender launched the iconic sponge. 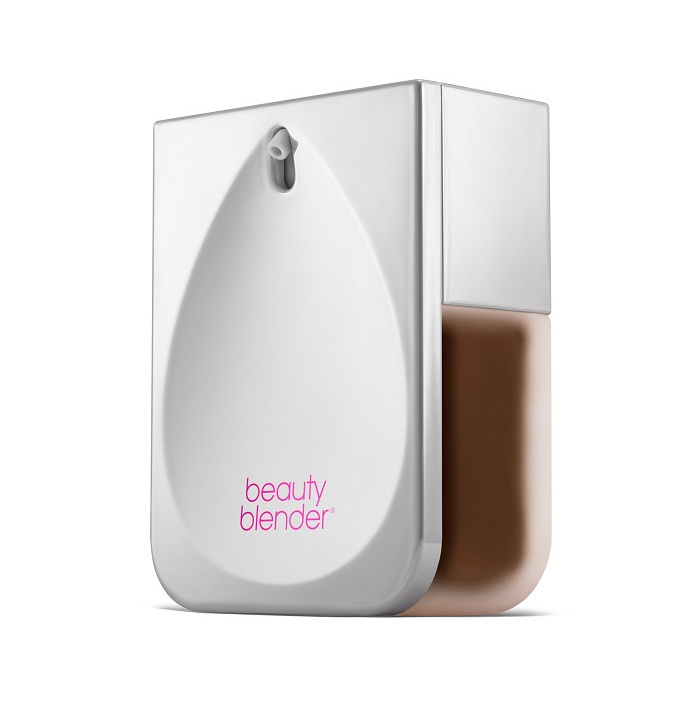 Today all the huge celebrity makeup artists have crowned it as the best makeup blender ever. Silva established her first release back in the day, with another idea on her mind. Her initial thought was to release makeup products shortly after that, but it took her a decade to drop the Bounce Liquid Whip Long Wear Foundation. It was more than two years in the making. The Beautyblender changed the way we all apply makeup on so many levels. That’s why everyone is more than excited to try out the brand’s new release. As mentioned, the foundation will be available in 32 shades. It is a long-wear product, that leaves your skin looking natural and fresh. There is no drying feel, it is perfectly light-weight and buildable. The best thing is the foundation’s velveteen finish. According to the founder, Bounce Liquid features a matte finish that also catches the light to give your face a special dimension. When it comes to the packaging, there is a special curvature on one side of the bottle, to match the shape of your favorite blender. The Bounce Liquid Whip Long Wear Foundation launches on July 24 at Sephora. You can score it for a price of $40. Feel free to sign up on the waitlist at sephora.com if you can’t wait to get your hands on this foundation.